EXPERIENCE HISTORY. LEARN CONSERVATIVE IDEAS. WALK IN PRESIDENT REAGAN'S FOOTSTEPS. 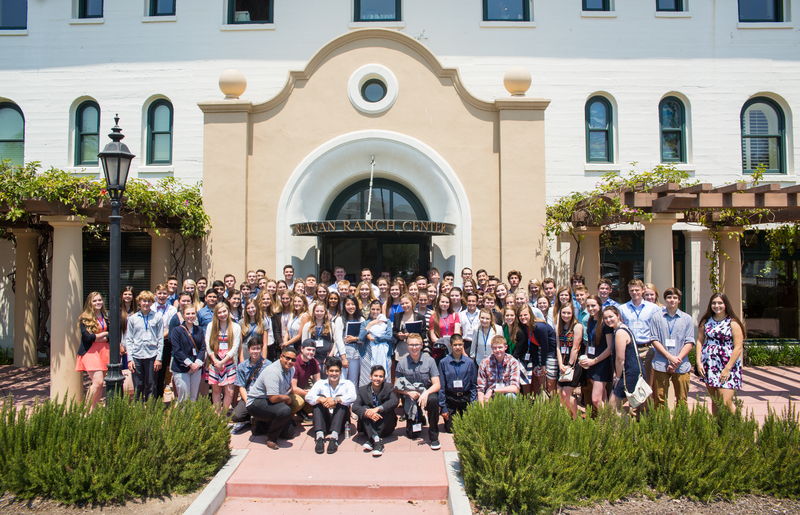 Young America’s Foundation’s Reagan Ranch High School Conference is a unique gathering designed specifically for high school students and framed as a “crash course” in conservative thought. No prior knowledge or involvement in public policy is required to attend. When you attend, you will hear briefings and discussions with conservatism’s brightest minds and most respected leaders. Students also enjoy a tour of the Reagan Ranch. THE CONFIRMED SPEAKERS: Please scroll below. THE DETAILS: Click here for details including flight, tuition assistance, dress code, and much more. We will not consider your request until we receive this completed essay. Travel assistance essays are due October 1, 2018. STILL HAVE QUESTIONS? Please click here. APPLICATION: This conference has sold out. Click here to request to be placed on a wait list. PARENT DINNER AND TOUR: The parent dinner and tour are sold-out.